Lake Leopold Cottages feature four double queen bedrooms and with a large common room are the perfect option for groups of 8. The Lake Leopold Cottages are located on the highest ridge on property, overlooking Lake Leopold, a series of exposed sand dunes, and Sand Valley’s 9th hole. 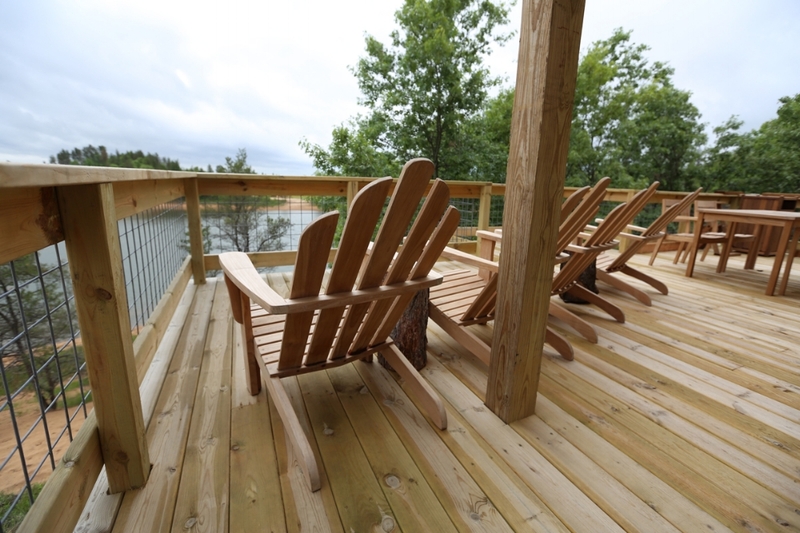 With a large common room, a spacious outdoor deck with Adirondack chairs and a large fire-pit, your group will be able to re-connect with one another and recharge. Location: A short walk from Sand Valley's first tee. Shuttle service can take you to the Clubhouse and Mammoth Dunes first tee. Common Areas: Guests can enjoy our spacious common room, outdoor deck, or fire pits. 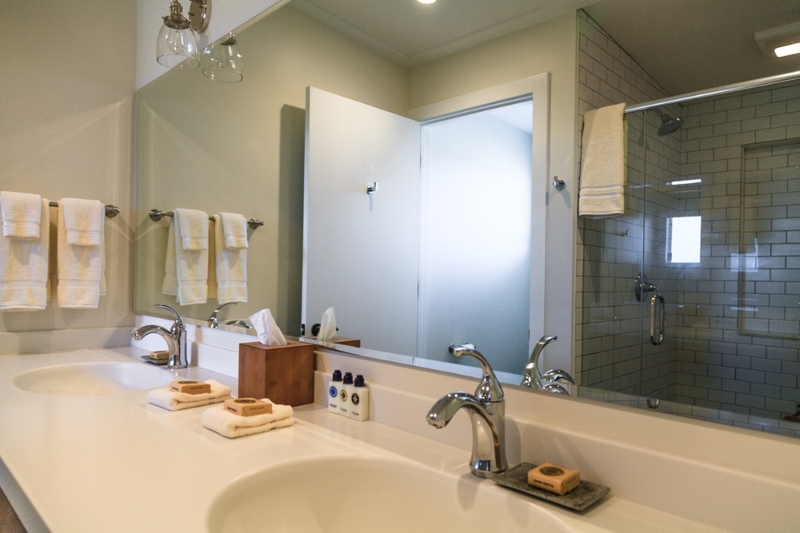 With two queen beds and a double vanity sink, each room comfortably sleeps two people. Groups of 8 will fit comfortably in the cottage’s 4 guest rooms. Groups of 4 will be afforded a more spacious experience with each guest having his or her own room. Common Room: Reconnect with your group in the large common room overlooking Lake Leopold. The common room features two couches, dining table, comfortable seating, a wet bar, a large flat screen TV, and views of Lake Leopold. Outdoor Deck and Fire Pits:The outdoor deck and common fire pit are also wonderful spaces to relax and recharge. Wooden docks at the Lake's edge allow you to dip your toes in or take a full plunge to cool off after a day in the sun.